Have you ever seen someone riding a surfboard - let alone strapless? What about someone surfing down a wave with his kite and a surfboard? Or how about doing a huge kite loop with a surfboard in their hand? Have you ever dreamed of doing that - yet never tried because of one reason or another? The discipline of riding a surfboard has many names; “strapless riding”, “kitesurfing”, “directional riding” and various other names. Whatever you want or decide to call it- kiteboarding with a surfboard whether it is freestyle or wave riding is amazing and definitely worth trying. It is a discipline that opens up new levels of excitement and challenge in someone’s kiteboarding career. If you are someone who enjoys surfing waves though were tired and annoyed of waiting for waves, paddling against the current or having your waves blown out by the wind - you can now forget about that. When kitesurfing you will overcome all those previous obstacles and 10x how many waves you usually would get surfing. 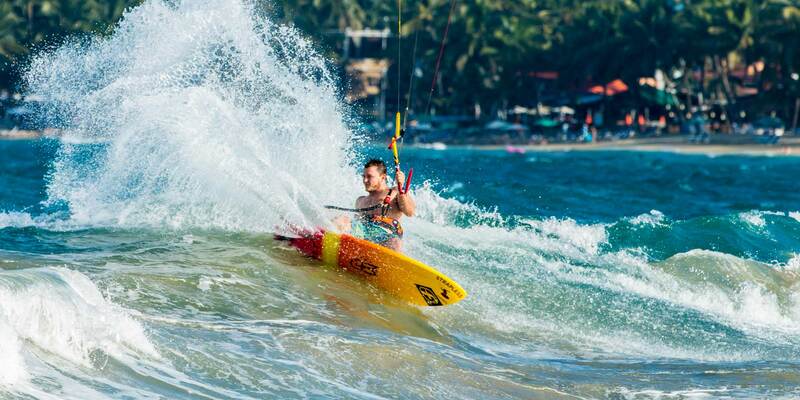 For this reason many successful surfers have taken up kiting alongside their surfing careers. 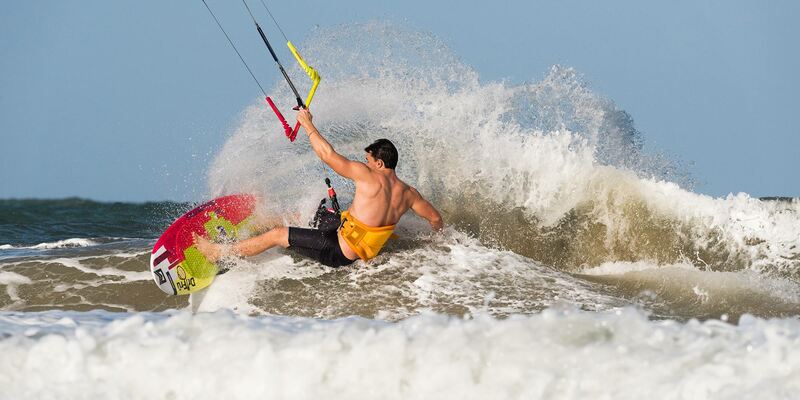 Nonetheless kite surfing is incredibly dynamic and complex; it is not to be taken lightly. This is why we recommend taking kitesurfing lessons with an Instructor to learn the techniques and build a solid foundation to progress off of. At Liquid Blue, we will teach you how to ride a directional board, transition and switch toe side. Further lessons include teaching you wave etiquette and how to bring the wind and the wave together to get you catching your first waves in style.